When I was a child, this painting was in the news. 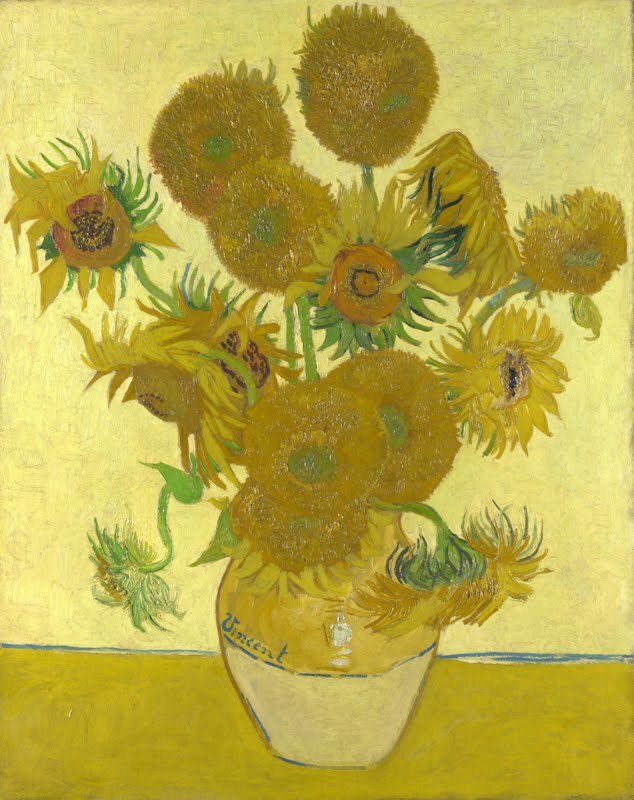 It had sold for a world record price, US$39.9 million when the previous mark had been US$12 million. I was fairly sure at the time - I was seven - that this was insanity. This painting is rubbish. 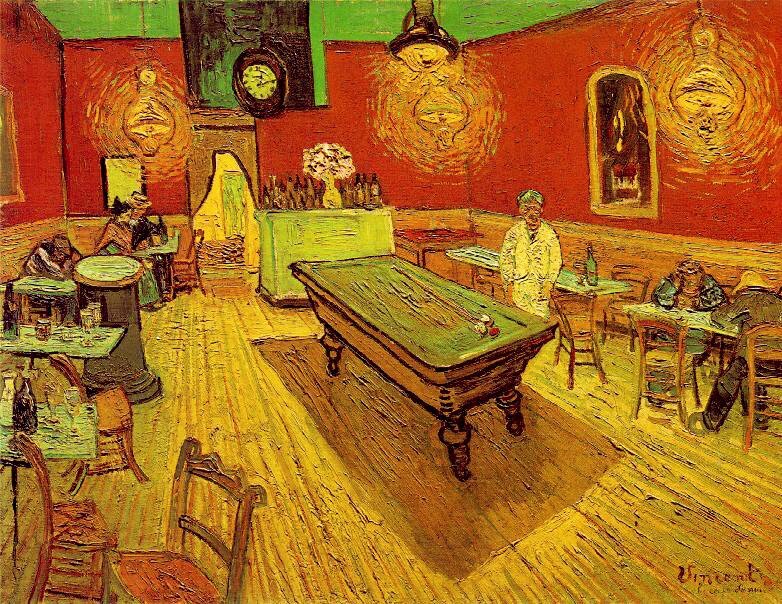 I am now 31 and have seen this painting in the flesh numerous times. I'm now pretty convinced that it's not rubbish. 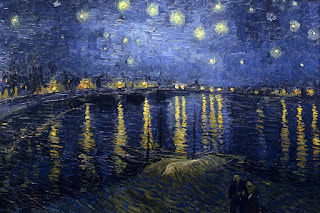 What I know for absolutely certain is that in my view, the man who painted it, Vincent Van Gogh, is the greatest artist who has ever lived. There are so many paintings that give me great joy. Many artists, too. Picasso keeps me dazzled like a starry-eyed child with his style and output. Cezanne's wonkiness is hugely exciting. Monet produced many ethereal and beautiful things. But Van Gogh is about the only artist who can make me cry. It's taken me a while to realise what art is. This may sound a little strange, considering that art is what I do. But it is true. Music is beautiful in itself, but art takes a little more application. 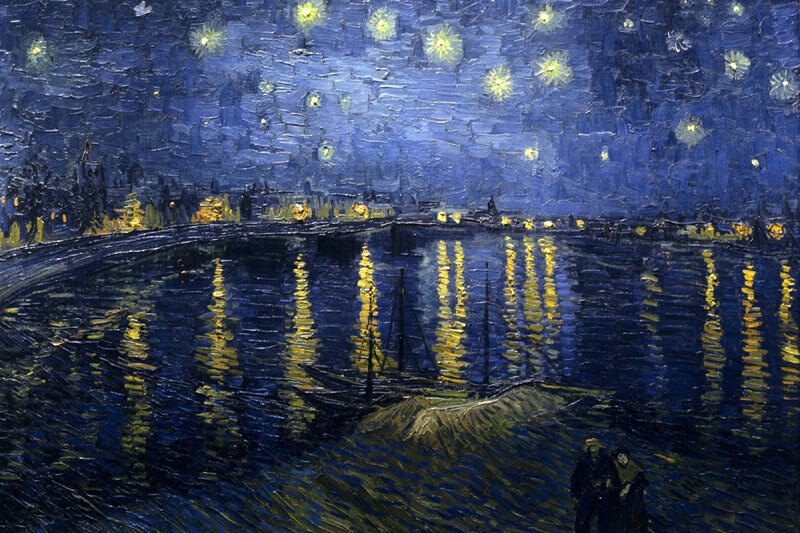 It's a visual stimulus, a cue to evoke memories, emotions and imagination. Of course, 7-year old me was right to expect art to look like what it's supposed to look like (again, considering it's me saying this that may sound a little strange). But that's not the whole story by any means. For one thing, who's to know what anything looks like to anyone else? For another, I think the way you see things changes as you get older. A painting of a tree, then, is not about that tree. It's about that tree, other trees you've seen, places and times and people and moments. 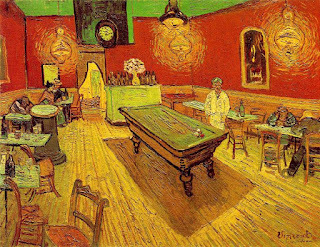 Van Gogh is special to me because his paintings are more alive than those of any other artist I have ever seen. 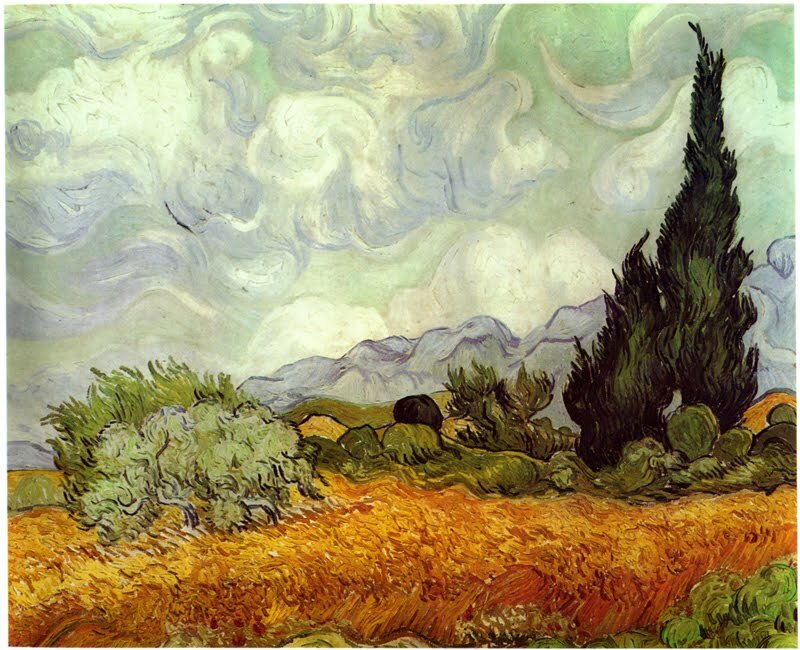 Take a look at the skies in the examples here - no-one paints a sky like Van Gogh, look at the landscapes. He's painting the breezes, the subtleties and the movements. Their power is completely remarkable, far beyond that of anything else. As you get older, your tastes invariably change and you change a little along with them, in lots of small ways that can add up to a big difference. I currently relish every single one of these things, even in weeks when the lurching black dog has been sniffing around. Life is growing more and more vivid with every day. The intensity of it is something I find increasingly overwhelming. 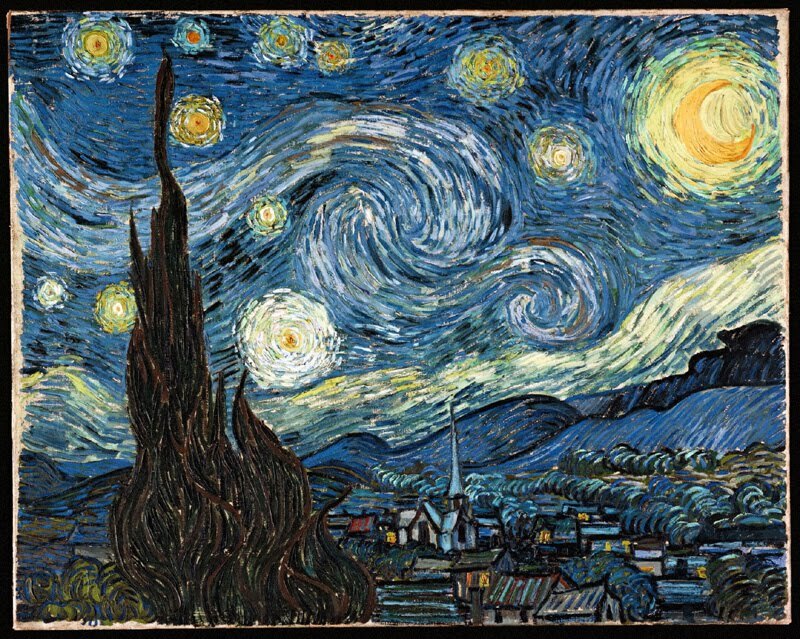 Van Gogh expresses it with such eloquence and animation, he's exactly where I am right now. Thank you. That is really good. Totally agree with you about Van Gogh. You really cannot appreciate how amazing his pictures are until you've seen them for real. A trip to Holland gave me the chance and I was blown away by the way his brush work adds depth to his pictures. I know nothing about art but Van Gogh's work is beautiful and moving and unlike anything I've ever seen anywhere else. Truly genuis.